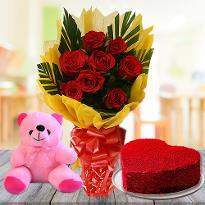 Valentine's day is dedicated to the celebration of the sweetness of love, affection and care. Couples on Valentine's day get a chance to showcase the love which is hidden inside their heart and take vows to be with each other for lifelong. 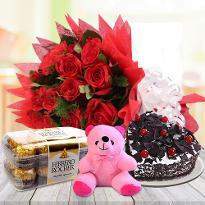 They confess love and care to each other with different types of gifts including flowers, cakes and many more. 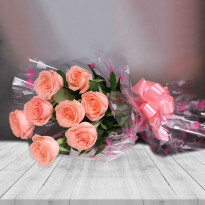 We at Winni online, have a comprehensive range of floral gift options including bouquet, bunches, special and special arrangements. 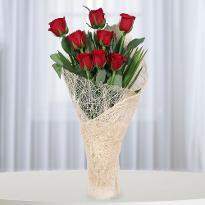 Therefore, explore our comprehensive range of valentine flowers and buy for your special one. 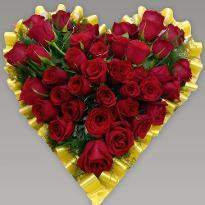 Send Valentine's day flowers to Jabalpur from Winni. 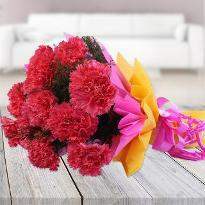 For a beautiful celebration of Valentine’s day, what flower bouquet you choose to gift him/her? 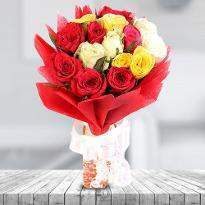 If not decided, then don't worry about it as we are here to make it easy by offering a superb range of flowers. 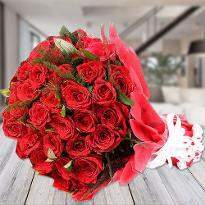 The day of love comes with love in the air in which most of you express love by giving flower bunches especially red roses to precious one whom you wants to spend your rest of the life. 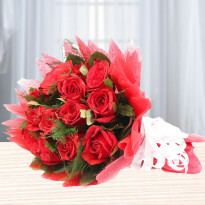 Giving flower on such a day has a great significance and it's another way to say “I LOVE YOU.” A bouquet of beautiful flower for him/her offered by us. 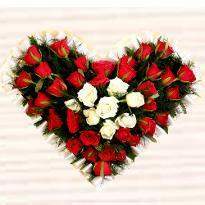 If you want to send flowers to your loved one residing in Jabalpur, then you can take the assistance of our online Valentine flower delivery service in Jabalpur. 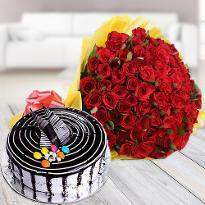 We become so busy in the life of this competitive world that we can’t meet our loved one on such an occasion but with the help of online gift store, you can send your love in the form of gift which will stay with them as your sweet memory. Just think, when they get flower bouquets from your side, the happiness will be limitless which can be seen through the smile on their face. You can send these flowers to them at morning to give them a good start, to infuse positive vibes to their day and as a reminder of your love. Say your dear thanks to being side by you in all the time. Grab this beautiful day to make sweet memories. 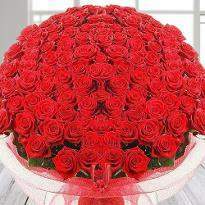 So, don't think anymore, place your order for Valentine’s day flowers and send them to Jabalpur for your special one. 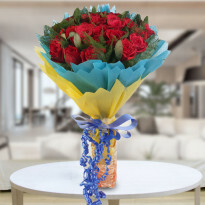 There are many ways to tell your love and passion - whether you choose branches or bouquets especially red roses from our Valentine’s flower collections. 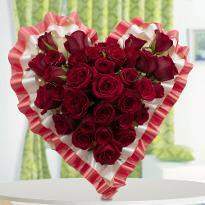 Our flowers are sure to thrill and please your loved one. 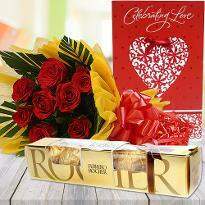 Choose an ideal bouquet to him/her, win their hearts by surprising them with arm-full of fragrant flowers. 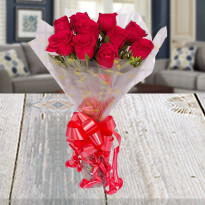 Now we are offering the online delivery service in Jabalpur so that you can deliver valentine’s day flowers to surprise your precious one living there. 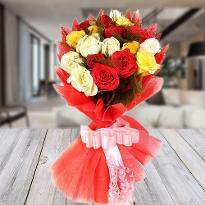 We are here with our expert team who deliver your valentine’s day flowers on time and without any mistake. 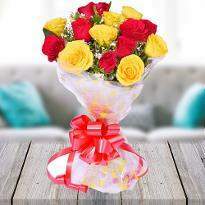 Our reliable website is perfect for you when you need to deliver these flowers in Jabalpur. Our gorgeous range of flowers adds magic to your relationship. Our flower collection includes Roses, Lilies, Gerberas, Orchids, Exotic Flower Arrangements, Carnations, Mixed Flowers or many more. 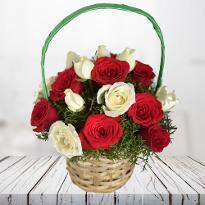 You can choose any arrangements like “Basket, Bouquets or Bunches” from them. 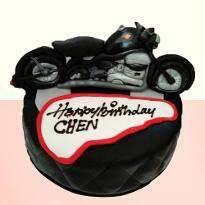 And no romantic surprise is complete without a bit of yummy cake. 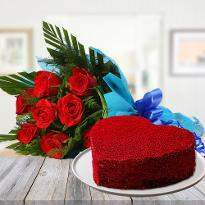 Therefore you also can deliver a delicious cake as Valentine’s day gift. 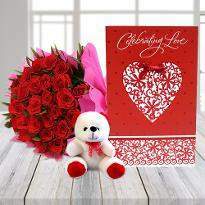 You can create lovely memories despite the distance and can celebrate this day together by giving gifts to each other as the token of your love in the way of valentine’s day flowers. To make it more romantic, add a greeting card and romantically write your feelings. 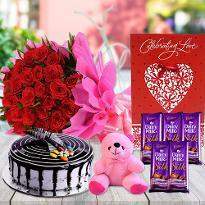 More than this, you can make midnight or same day delivery by selecting the given option at Winni.in. We guarantee to deliver your Valentine's flowers in such an attractive way which bring a thousand of the smile on their face immediately. 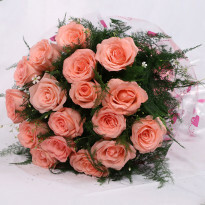 So, go for it, place your order for valentine’s day flowers and get them delivered in Jabalpur.